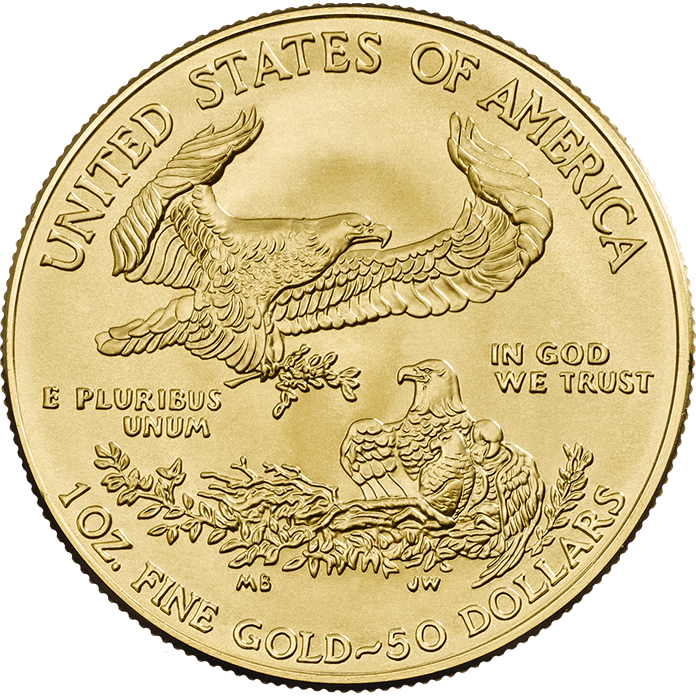 The American Eagle is produced by the United States Mint and was first introduced in 1986. 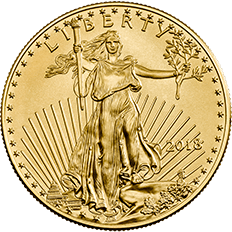 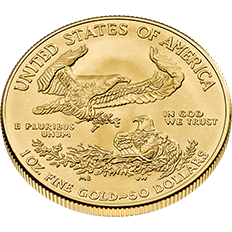 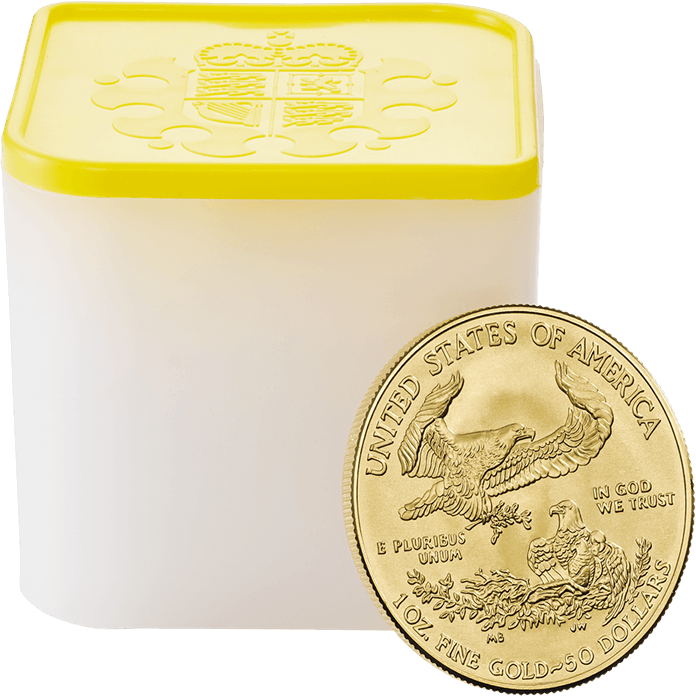 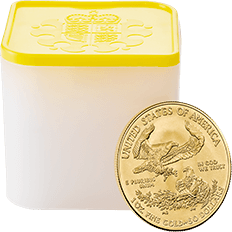 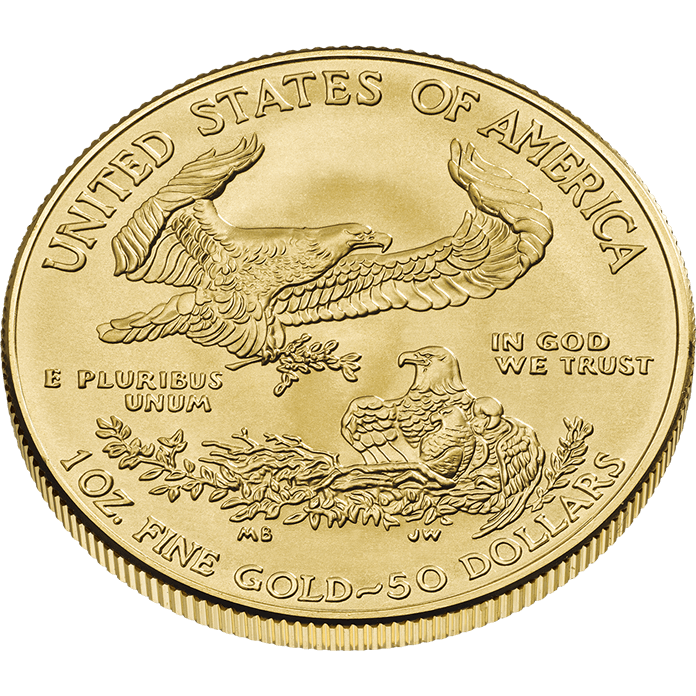 The 1 oz gold Eagle coin is struck in 22 carat gold (916.7) and contains one troy ounce of pure gold. 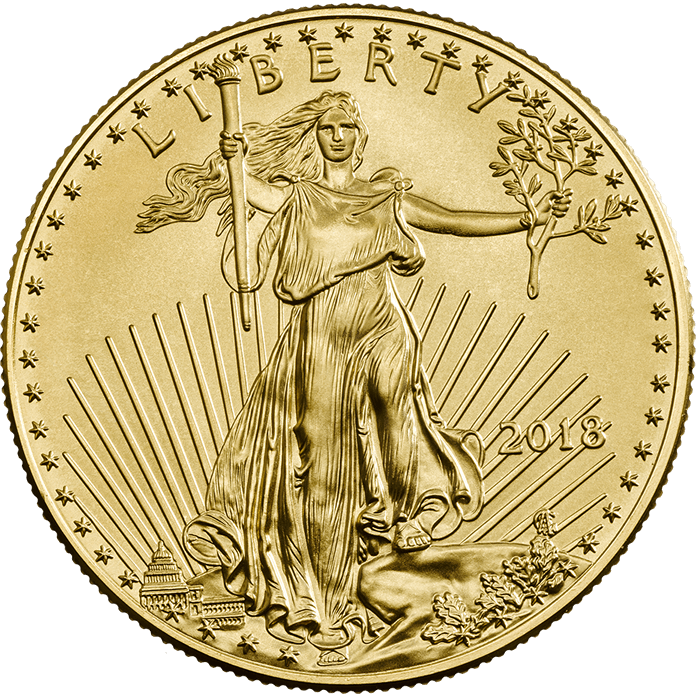 The obverse design features a rendition of Augustus Saint-Gaudens' full length figure of Lady Liberty with flowing hair, holding a torch in her right hand and an olive branch in her left. 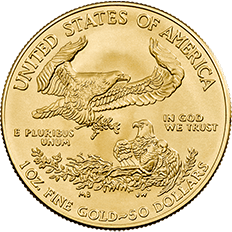 The reverse design, by sculptor Miley Busiek, features a male eagle carrying an olive branch flying above a nest containing a female eagle and her hatchlings.